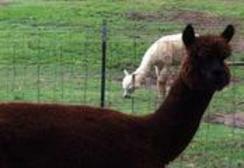 Randy and I started checking out alpaca ranches around August 2006. Now, we own thirteen alpacas. Two Huacaya breeding females, six Suri breeding females, two Suri herdsire males, one juvenile Suri male, and one juvenile Suri female. They are being boarded in three places within Texas and Oklahoma, until our barn and internal fences are completed. Our alpaca farm is located at 4290 Maass Road, Burton, TX (near Brenham) and we hope to move our alpacas here by September 23, 2017. Alpaca farming makes it easy to fall in love with alpacas. There is a growing demand in the remarkable fiber from alpacas. Alpacas are livestock and farming is a business, so the same tax benefits apply to an alpaca farm as to any other farming operation. The care of alpacas require 5-7 acres, shelter from extreme weather, good forage, and small amounts of feed. 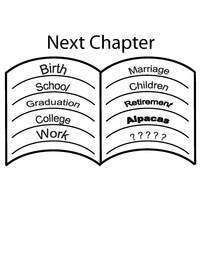 The alpaca lifestyle is suited for retirees, families, and for anyone who appreciates animals and nature. Alpacas are bred, to the highest quality for the alpaca standards for generations to come. Alpacas are registered with the Alpaca registry, and with a lineage verified through DNA testing. There's nothing like the beauty of a Suri Alpaca in full fleece, with locks swaying like exquisite jewelry. Incan Royalty considered Alpaca fiber the "fiber of the gods." It's soft, strong, and warm, which can be felted, crocheted, woven, and knitted.